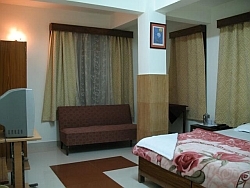 Hotel Tashi Thendup is conveniently located in the heart of the town. We guarantee comfort, homely, calm and nice atmosphere. Our aim is customer satisfaction and it will be reflected during your stay at Tashi Thendup. To make your stay most pleasant and memorable we extend all possible facilities. 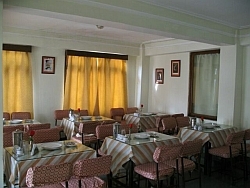 We offer choice of delectable cuisine and modern comforts to provide a heady mix of never – ending bliss and this hotel is situated within walking distance of M.G.Marg. We always try creating a work culture that is useful for our esteemed guests. We pick up ideas in response to daily feedback from customers, try to get an exact grasp of customer needs and have developed a craving to please our customers. Guests of our hotel have the assurance of friendly and highly professional staff. This is combined with the advantage of all modern amenities, in rooms and comfort throughout the stay at hotel. Our travel desk organizes package tours or tailor made tours to places like Gurudongmar Lake / Yumthang Valley / Tsomgo Lake, Nathu La Pass / Baba Mandir / Pelling / Rinchenpong / Namchi / Arhitar Lake / Ravangla. Other than Sikkim, Darjeeling, Kalimpong, Mirik we also assist Nepal and Bhutan tours. We also offer and organize packages tour to nearby destinations. Our executives manage the packages quite efficiently. For further information and queries please get in touch with us over phone, mail etc.